Take a closer look – things aren’t always quite what they seem. A suspended disc hovering above comes to life under UV light to celebrate the rhythmic beauty of nature. A field of miniature plants resembles a bush fire-ravaged landscape, only to reveal new life. Image: Zadok Ben-David, The Other Side of Midnight (detail), 2013, hand painted stainless steel, dia. 300cm. Courtesy Shoshana Wayne. Zadok Ben-David is a Yemen-born Israeli artist living in London. He graduated in advanced sculpture from St. Martin's School of Art in London and is the recipient of numerous awards. In 1988 he represented Israel at the Venice Biennale and in 2008 he was commissioned to make a sculpture for the Beijing Olympics. His work is exhibited internationally, most recently in Singapore, Sydney and Los Angeles. The exhibition catalogue includes curator Felicity Fenner's accompanying text, images of the artwork and list of exhibited works. Zadok Ben-David's inspiration derives from nature, science, magic and illusion. The psychological installation Blackfield (2007), with thousands of flowers, and the magical The Other Side of Midnight (2013), which incorporates hundreds of insects, exemplify one of the characteristics of Ben-David's work: the use of multiplicity as an organising principle. He creates an alternate amplified viewing space where the relationship between viewer (human) and artwork (nature) is both sacred and destabilising. 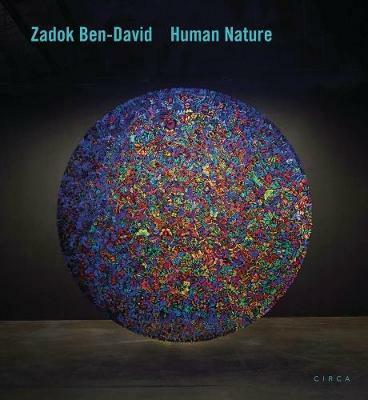 This first comprehensive monograph of the Zadok Ben-David's work highlights four major installations in all their magical detail, as well as outdoor sculpture created over 20 years.